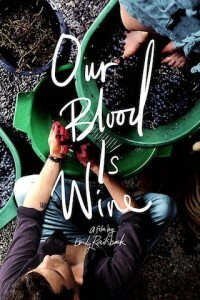 Filmmaker Emily Railsback and sommelier Jeremy Quinn explore the rebirth of an 8,000-year-old winemaking tradition in the Republic of Georgia in the new fascinating documentary Our Blood is Wine. Georgia is generally recognized as the birthplace for domesticated wine, with a history dating back to 6,000 B.C. and wines continuing to be made by many families in the country’s fertile valleys in the South Caucasus Mountains. In Our Blood is Wine, Railsback and Quinn set out to learn more about the region’s inhabitants, their ancient winemaking methods, and Georgia’s wine revival following 70 years of Soviet occupation and one 7-year Russian embargo (2006-2013). During their remarkable journey across Georgia, Railsback and Quinn are exposed to an intimate and resilient family-based society that has survived regular foreign invasion and repeated attempts to erase their indigenous culture. The resurgence of traditional winemaking—where wine is so profoundly woven into the customs and daily life of the culture—is the central force driving the independent and autonomous nation into the 21st Century. This fascinating documentary had its world premiere earlier this year at the 2018 Berlin International Film Festival as part of its Culinary Cinema where nine documentaries and fictional films focusing on the relationship between food, culture and politics were presented.